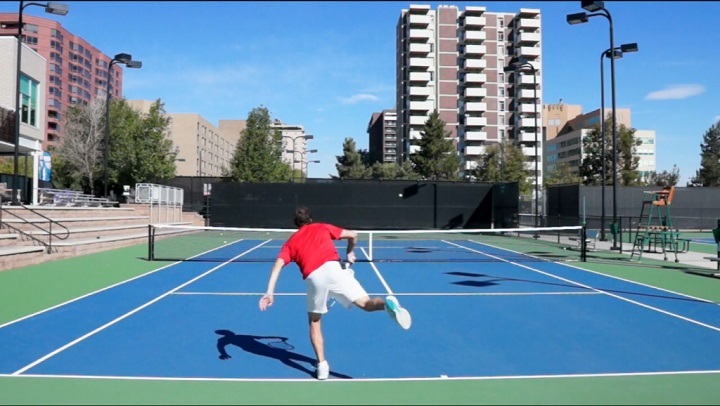 If you want to learn how to master the kick serve, you’ve come to the right place. 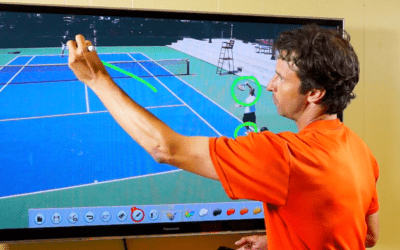 Many player’s who are committed to mastering the kick serve find that they are able to get more topspin on the ball – but only at the expense of the accuracy and consistency of their serve. And often, this can cause them to end up hitting the ball straight into the net. 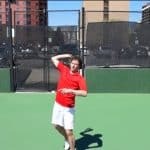 If you find that your struggling with these same sorts of mistakes on your kick serve, read on to discover some drills and tips you can use to fix your accuracy troubles for good, and learn how to hit a good kick serve. However, the more the toss moves to the left, the more you have to hit up on the ball. This may seem strange as the ball is already so high, but in order to clear the net and get the massive kick that you want, you have to exaggerate hitting the ball higher over the net. 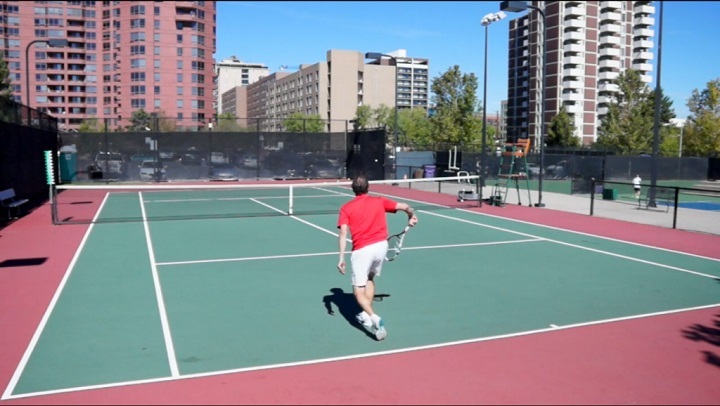 If you want to discover how to master the kick serve, hitting up on the ball is key. It may also help to move the toss back behind you a bit more. In other words, don’t toss the ball so far in front. If you are leaning too far forward, or even falling forward at contact, it could cause you to hit the ball into the net. Make sure to really visualize your targets when you’re serving. Don’t just picture a spot in the box where you want to hit the ball, but visualize an arc that the ball will follow over the net. See the ball travel up high over the net with lots of clearance, before diving down and bouncing where you want it to. If you focus on your shot path being high over the net when you visualize, it will greatly help reduce your mistakes in the net. I know this drill might sound a bit gross, however, the “dirty diaper” drill is very effective at teaching you how to hit up on the ball properly. 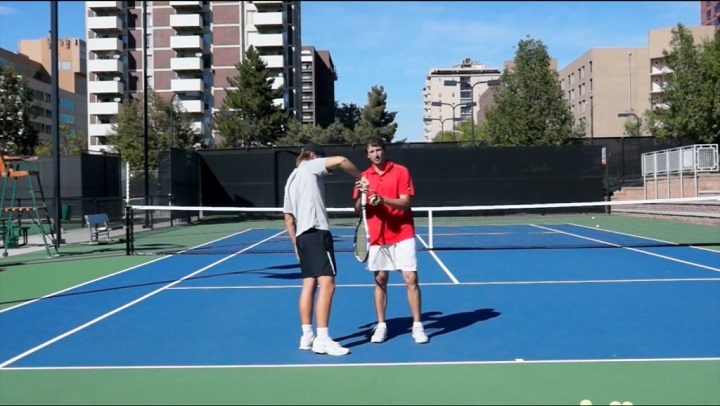 This is a vital aspect of learning how to master the kick serve. Make sure you perform the drill from your knees, so that you have to hit directly up on the ball in order to get it over the net. 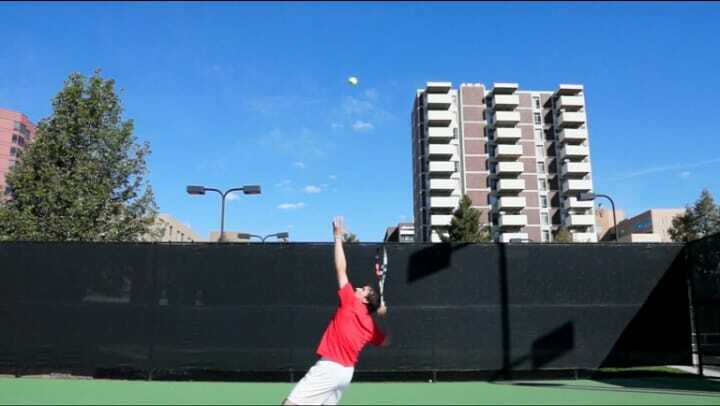 Choke up on your racquet, toss the ball where you would for a kick serve, and swing up at the bottom of the ball. You can also experiment with tossing the ball a bit more behind you. From there, finish with your arm bent on the same side of the body that you made contact. 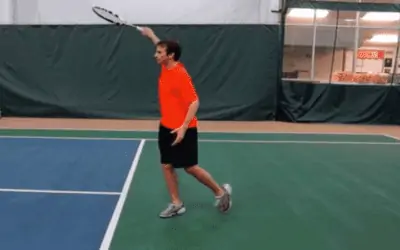 Your racquet tip will point down, arm bent and strings that hit the ball should be facing you. In other words, at your finish, you should be holding your racquet just like you’d hold a dirty diaper. Another great drill for learning to hit up on the ball is called the “hit over the the fence” drill. Stand one to two feet from the back and try to pop the ball over the fence. You really have to hit up on the ball to get it over the fence. The acute angle you have to hit up on the ball will make it difficult to clear the fence and force you to exaggerate this upward. Make sure that you use the correct kick serve ball toss (to the left and back behind the body for a right). Move closer and closer to the fence seeing if you can still get the ball over the fence. Once you get the hang of it, return to the baseline and watch how much easier it is to clear the net. 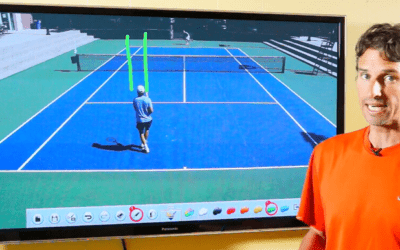 If you put these drills and tips on how to master the kick serve into practice, you’ll eliminate your accuracy and consistency errors in no time, and your kick serve will soon be the envy of all the opponents you play against. Is Murray Mentally Tough And The 2 Handed Backhand?